Has the beginning of the school year got you thinking that your child needs some additional support at school? Have a child studying for the ACT or other entrance examinations? Check out our Champaign-Urbana Area Tutoring Resource Guide for options to help your student and family succeed in school. Offering suggestions for all ages, you are sure to find something to meet your child’s needs. Contact the businesses below for more information regarding their services and make sure to tell them that you heard about them on chambanamoms! Don’t see your name listed here and are interested in being a part of our Champaign-Urbana area tutoring guide? Email here. Please note that all listings are sponsors of chambanamoms. 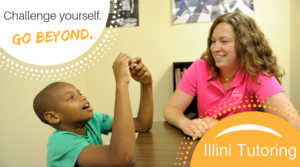 About Illini Tutoring: We have been serving students in Champaign-Urbana since 2010! Students trust our certified teachers and tutors to help them excel in their math and science classes. We also help students raise their scores on the ACT, SAT, and SSAT. Mom’s who want their kids to succeed in school – and in life – trust our tutoring services year after year, and we can’t wait to welcome you into our family of creative thinkers and problem solvers! What Makes Your Tutoring Services Unique/Specialized? We are a mom-owned company with a big heart for the community: we donate thousands of dollars each year to support our local public schools and other community projects. 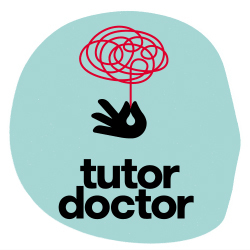 About Tutor Doctor: We provide tutoring services to students of all ages, levels and subjects. Through our tutoring services, we integrate one-to-one individualized attention while working with the student’s curriculum and homework to improve grades/test scores and gain confidence. Not only do we provide homework help, but we help students fill gaps in their knowledge base. We believe that anyone can learn with the right approach. What Makes Your Tutoring Services Unique/Specialized? Our services are available in-home. They are one to one and are personalized/customized for all ages and any subject. About Nia Klein Writing: Nia Klein Writing is a private tutoring service devoted to teaching students to master the art of the academic paper, helping to ensure academic success. Having proven strategies for conceptualizing and executing a writing assignment will not only result in better grades, but also help build confidence in these skills. As reading fluency and comprehension are integral to the writing process, these skills are also addressed in the tutoring process. 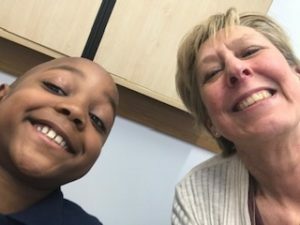 What Makes Your Tutoring Services Unique Specialized? I am especially interested in working with ADHD students as I am ADHD myself. I have completed teacher training through Rush Neurobehavioral Center to help students improve executive function skills that are essential not only for writing, but also all academic pursuits as well.